The 'Reliance Fresh love story' started trending on Twitter last night. New Delhi: In this day and age of online dating, we stumbled upon an Internet love story with a difference. Late on Wednesday night, out of nowhere, Reliance Fresh started trending on Twitter. As it turns out, a cute love story - or a story of unrequited love, we have no way of knowing yet - was in the making. 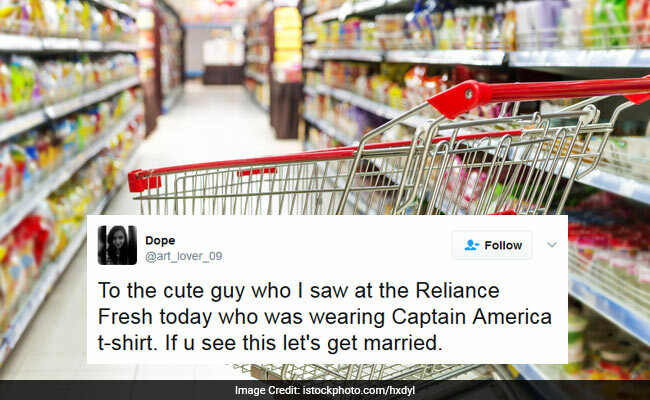 It all started when a Twitter user who goes by the handle @art_lover_09 tweeted about a 'cute guy' she saw at a Reliance Fresh store. To the cute guy who I saw at the Reliance Fresh today who was wearing Captain America t-shirt. If u see this let's get married. Pretty soon, another Twitter user, Rishabh Bhandari, picked up on this tweet and tweeted out a cheeky nod to it. He wasn't the only one who did. Went to Reliance fresh today, this cute girl & this Captain America Tshirt wala boy were doing nain matakka. Hope they get married soon. And that is how the Reliance Fresh love story, as it came to be known, started trending on Twitter. 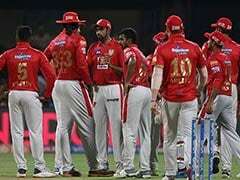 Reliance Fresh might acquire you soon. Twitter was soon filled with jokes! Me: reliance fresh, grocery lane. Me: haan dhaniya la duga. Mom: nahi, acchi si bahu bhi lete ana. I went to Reliance Fresh to buy Aloo Bhujiya. Saw a girl staring a guy, then I later realised she was actually staring the "50% Off" Sign. And she even received an actual proposal from a Bangalore-resident. Not everyone, however, was happy about it. And soon people started bemoaning their own love lives. Scheming and plotting was soon afoot. Went to Reliance fresh today and what i saw was freakin unbelievable!! Every one was wearing Captain America T-shirts. And in the end, love story or not, the convenience store chain sure got some free publicity. What do you think of this strange love story? Do let us know using the comments section below.